Grab a book, find a comfy chair and enjoy a hot cup of your favorite tea. With a soft, inviting palette, My Cup of Tea features sweet painted tea cups and tea pots, dainty herbal flowers, delicate tea bags, text tea prints and a lovely plaid to match. 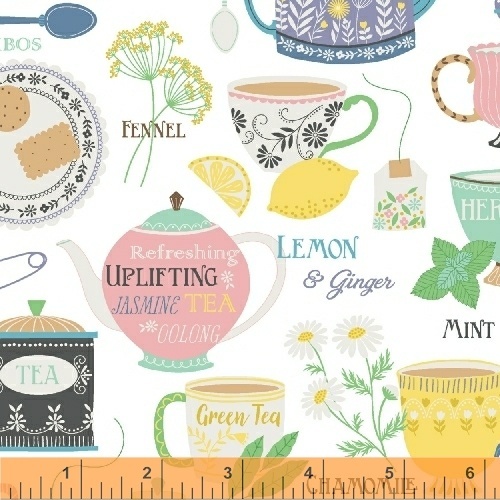 Keep the tea enthusiasts warm with a tea cup applique lap quilt.